Parents (and even third parties) may have a dispute (within a divorce or separately if not divorcing) regarding custody of children. It is uncommon for one parent to be granted sole legal custody (decision making) of a child unless the other parent is incapacitated, unfit, absent, or otherwise creates some significant impediment relative to the child’s education, health care, religion, etc. 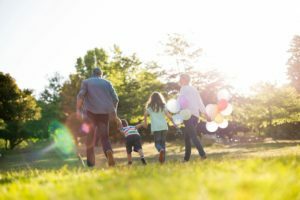 More often, parties have joint legal custody such that they will be required to make non day-to-day decisions together. For example: what school a child attends is an issue of legal custody but what color shirt they should wear to school is just day to day parenting. Physical custody (a/k/a residential custody) is about where a child spends their time. This is generally the bigger dispute among parents. Parents can have arrangements where one has primary custody and the other has parenting time (usually less than 104 overnights per year) or shared custody (erroneously called joint custody, 50/50 custody or equal custody by some) wherein both parent have similar contributions to the child’s care taking and regular involvement. Generally (due to the correlation with the child support guidelines) the shared parenting concept kicks in when one parent has at least 104 overnights. The parent having the majority of overnights is considered the parent of primary residence (PPR) while the other having at least 104 overnights, but less than 50% is the parent of alternate residence (PAR). Some people will refer to a 50/50 schedule, which rarely works for school aged children unless the parties live quite close. There is some pending legislation regarding a 50/50 rebuttable presumption for parenting time but this is not yet statutory law in NJ. However, custody experts often recommend schedules close to 50/50 if the relationship would benefit the child and the parties live close and can be cooperative.